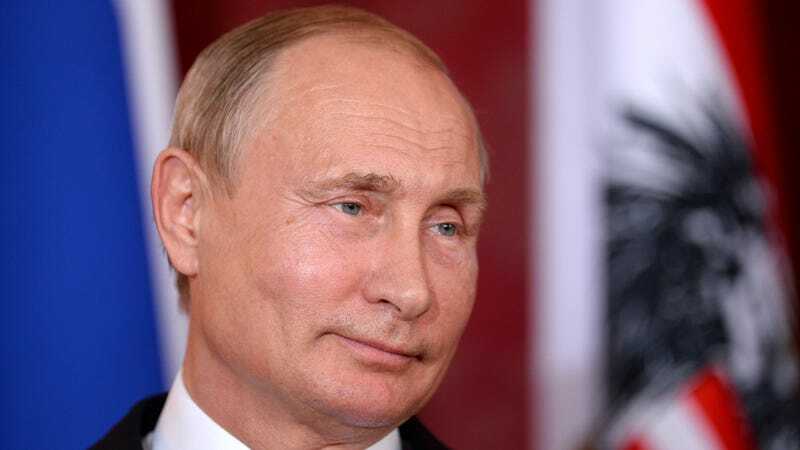 A set of bills that restrict speech online were signed into law by Russian President Vladimir Putin on Monday, appealing severe penalties for those who slam the nation and its authorities or post fake news. Those who consistently post rude material about authorities– including Putin– could invest as much as 15 days in jail. And people who share fake news could be fined up to $6,000, while news outlets could be fined up to $23,000 One of the costs likewise forces internet service companies to block false information online on the occasion that it hasn’t already been removed. To put it simply, it substantially expands the repressive power of Russia’s repressive device. This might be compared to the Stalin’s Troika, a commission of 3 for express judgment in the Soviet Union during the time of Joseph Stalin who issued sentences to people after streamlined, fast examinations and without a public and fair trial. Similar bills have been passed in both Malaysia and Egypt, offering those governments the power to penalize people who share what they define as fake news. And like Russia’s set of expenses, their language is practically deliberately unclear, providing themselves as tools against misinformation while providing the state higher legal authority to censor dissenters.